In esoteric Buddhism doctrine, a sokushinbutsu is a “living Buddha” that has undergone ascetic practices to become one with the Dainichi Buddha while still in the fleshly body. 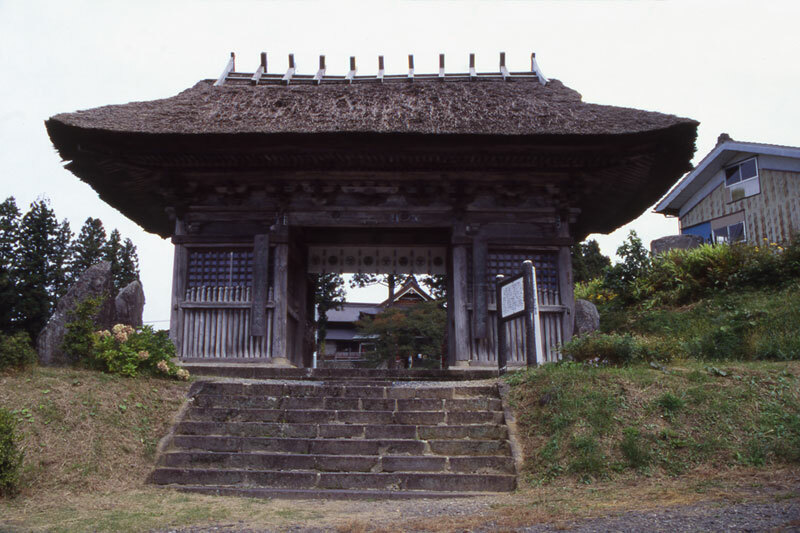 In Shugendo, for a mountain ascetic to become a sokushinbutsu he had to forgo the five grains (rice, wheat, beans, Japanese millet and foxtail millet) or ten types of grains for a period of 1,000 to 5,000 days. He consumed a diet of only mountain grass and nuts to rid his body of fat. When he perceived his death was imminent, he entered a stone chamber or hole in the ground while still alive. Ringing a bell to signify he still lived, he would invocate Buddha’s name and eventually die. Three years and three months after his death, his body would be exhumed and after minimal preparation, the body would be dried and worshipped as a living Buddha. Becoming a sokushinbutsu meant experiencing asceticism to abolish sin and impurity, while at the same time sacrificing oneself to save humankind from the hardships of famine and terrible disease. From early Edo Period, there were many priests on Mt. Yudono who became sokushinbutsu, a kind of mummy that is inherently different from mummies that are disposed, such as those in Egypt that were artificially eviscerated after death. The repeated ascetic practices the priests underwent during their lifetime to abolish their sins, and the sacrificing of themselves to save humankind from suffering famine and disease was a path chosen of their own will. It is said that in all of Japan Mt. Yudono had the greatest number of priests who became sokushinbutsu for those reasons. 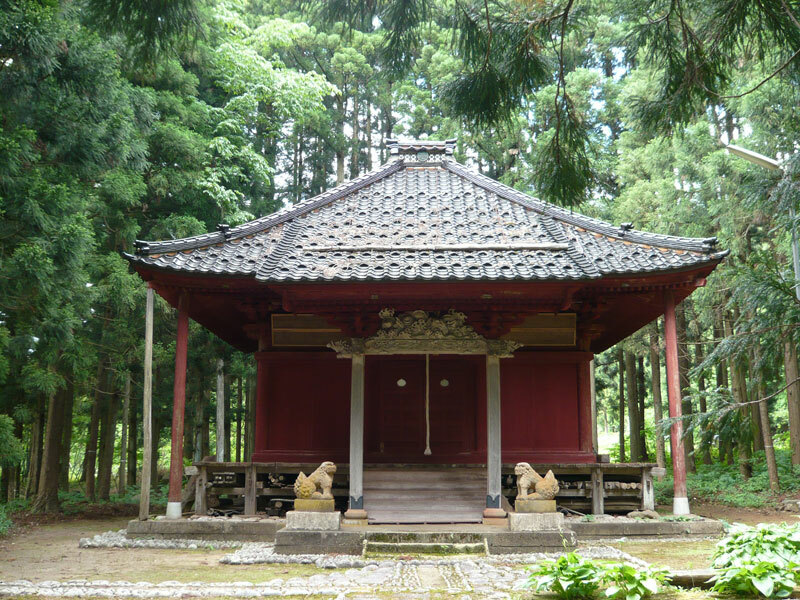 Of the 24 sokushinbutsu that exist in Japan, 6 of them are found in the Shonai region of Yamagata Prefecture. Why did the priests of Mt. Yudono possess a worldview that led them to choose that way of life, death, and leaving behind of their physical body? The teachings of esoteric Buddhism state that humans can become a Buddha in the living flesh through the power of Dainichi Buddha. Legend says that at Mt. Koya, Kobo Daishi (also called Kukai ) entered an intense state of preparation and attained Buddhahood with his fleshly body. Born in 1768 in Tsuruoka City, his secular name was Tetsu Sunada. He worked digging wells and floating lumber. He left home at age 25 to become the disciple of the 69th Buddhist priest, Kannoand took the name Tetsumonkai, a combination of the kanji characters for “sea” and “iron” that also spell Kukai, another name for Kobo Daishi. 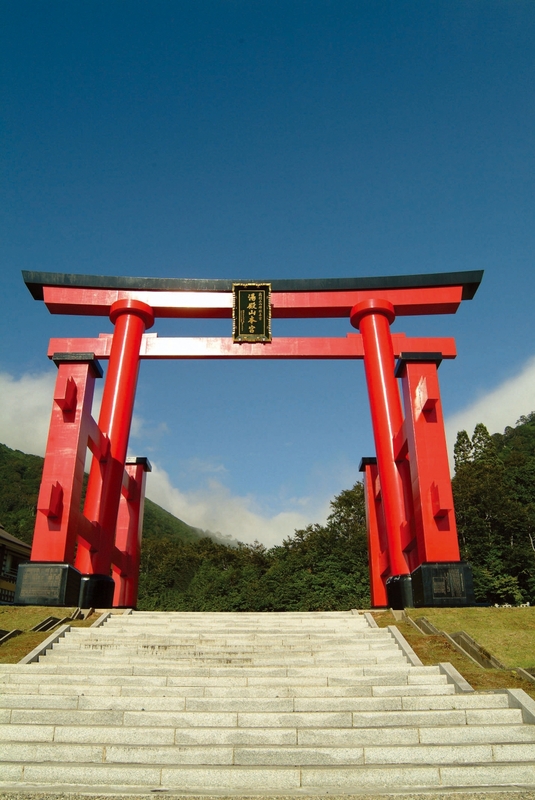 Later, he practiced many religious austerities at Senninzawa on Mt. Yudono, and as a fervent follower of Buddha and an embodiment of the spirit by which Kukai lived, he achieved numerous public service works, such as the excavation of a tunnel at Kamozaka. He is also known for trying to cure an eye disease that was prevalent at the time by gouging out his own left eye and offering it to the god of the waterfall at Sumidagawa River when he journeyed to Edo (the old name for Tokyo). Because Kobo Daishi became a sokushinbutsu at age 62, Saint Tetsumonkai became a sokushinbutsu in 1892 at the end of a 3,000-day period of ascetic practices. He was known as a very loving saint. He was born Nizaemon Shindo , the eldest son of a farming family in what was Asahi Village on Mt. Ecchu in 1687. He helped with the family trade, but one day while transporting wood from the mountain, he met three children who asked for a ride on his large sled. One of the children fell under the sled and died. Because of the child’s death and his familiarity with Buddhism since childhood, without hesitation he left home for Dainichibo and became a priest. He aspired to become a sokushinbutsu from age 20, and after 70-some long years and repeated practice of religious austerities, he confined himself to Senninzawa out of compassion for people suffering from starvation. After the strict period of fasting he died in 1783 at age 96. He was an individual with a tranquil spirit that captivated human nature. He was born in 1623 as a samurai and given the secular name, Kichibei Togashi . He left home to visit Mt. Yudono with the intent of praying for the feudal lord, Tadayoshiko Sakai ’s recovery from illness. Inspired while at Mt. Yudono, even after completing the task he did not return from the mountain. Angry, the feudal lord exiled his family and confiscated their wealth. At age 39, he shaved his head to enter the priesthood at Churenji Temple and continued to pray for the feudal lord’s recovery. Thanks in part to this, the feudal lord, who had regained his health, came to understand Kichibei’s true intent. 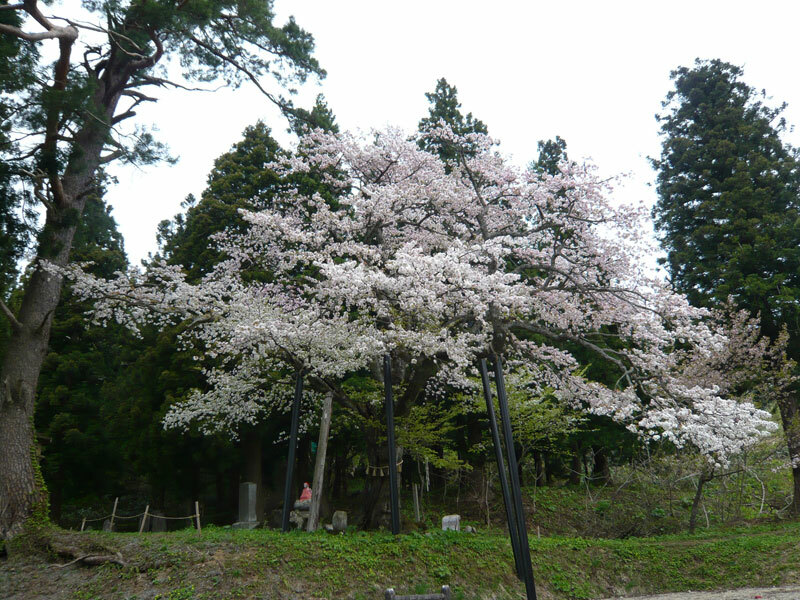 He gave his family employment and became a strong supporter of the restoration of Honmyoji Temple. In 1673, Saint Honmyokai built Sokushinbutsu Hall in preparation for becoming a sokushinbutsu, and after continuing asceticism for 10 years, he died at the age of 61 in 1683. Three years and three months later followers confirmed that he had indeed become a sokushinbutsu. 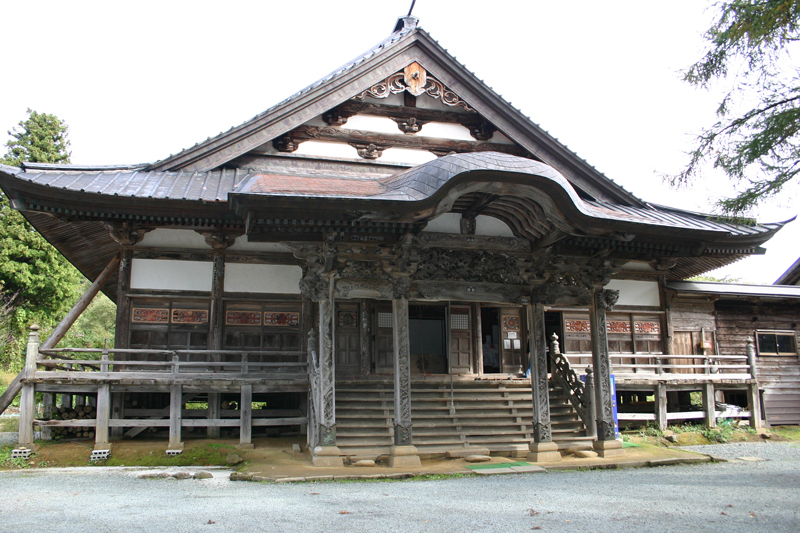 Of the 6 sokushinbutsu that exist in the Shonai region, Saint Honmyokai is the oldest and in the best condition. That is said to be a blessing resulting from the austere diet of a saint.